The sun’s rays make us feel good, and in the short term, make us look good. But our love affair isn’t a two-way street. Exposure to sun can hurt your health in the long run. It causes most of the wrinkles and age spots on our faces. Over the years too much sun can cause scaly patches called actinic keratosis and skin cancer. We are not wanting to spoil your fun but are merely recommending that you apply a good sunscreen with a minimum SPF 30. By doing so and applying the cream regularly this should help minimise the risks of premature ageing of the skin & more importantly help minimise skin the cancer risk. To help minimise the risk of skin cancer it’s important to protect the skin with a sunscreen offering protection against both UVA & UVB rays. 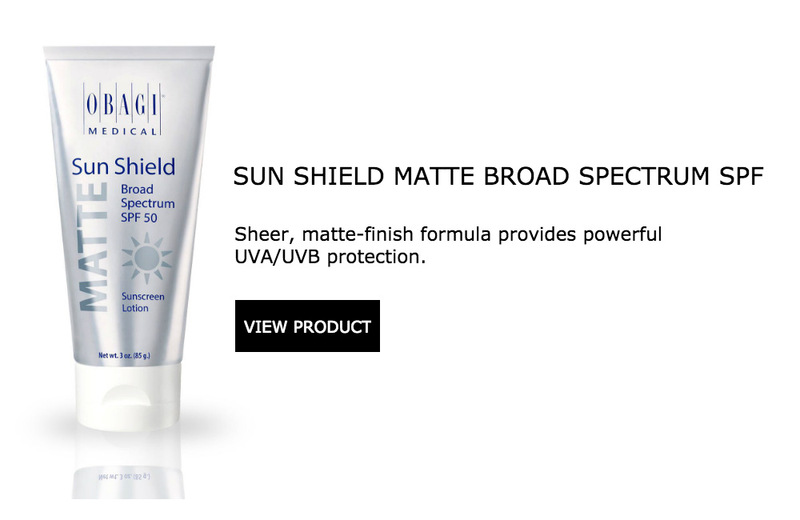 We offer a complete sun protection with Obagi Medical Broad Spectrum SPF 50. These have a high UVA/UVB protection, come in a sheer matte finish, are paraben and fragrance free and are for all skin types. The Obagi range now also offers complete sun protection with a sun shield Tint Broad Spectrum SPF 50!